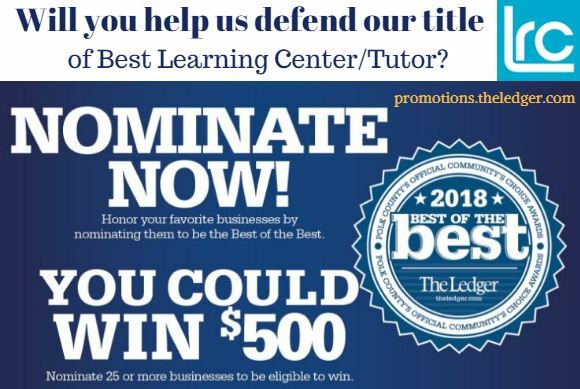 We are thrilled to announce that thanks to you and your daily votes last month, the Learning Resource Center has made it to the final round of The Ledger’s 2017 Best of Best Polk contest. Will you help us earn the title of Polk County’s Best Learning & Tutoring Center? To do so, please vote for LRC daily through Sunday, July 30 under the Kids & Education: Learning Center/Tutor category at TheLedger.com/Contests. The second round of voting began Sunday, July 16, which means we are already days into this final round. 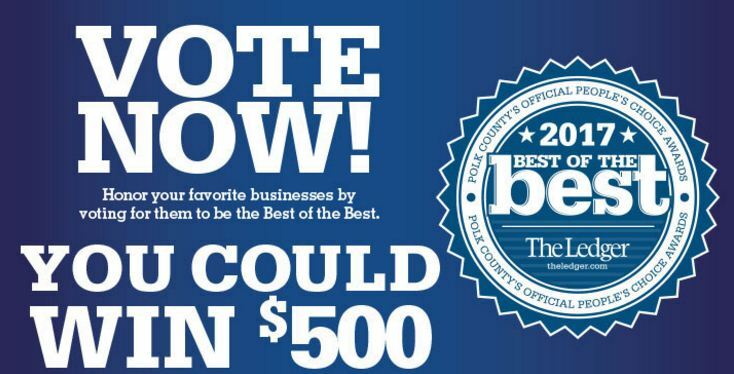 This voting phase will be used to select the community’s top 3 favorite businesses in 150 categories in Polk County. The winner and finalists in each category will be announced in a special “Best of the Best” section that The Ledger will publish on Friday, September 22. That’s not all! When you vote in 25 or more categories, you’ll be entered to win a $500 gift card from The Ledger Media Group. When you vote for LRC, you’re helping us to potentially reach more students and you could win $500. It’s a win-win! Thanks again for your support and helping us get to this stage of the competition. Thanks in advance for your assistance in this final phase!